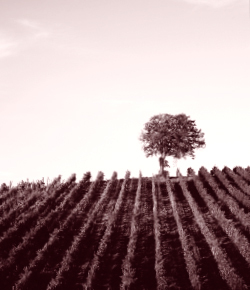 At Cult & Boutique, we specialise in small production, high quality wines, offering our clients a route of diversification away from more traditional areas such as property, currencies, equities and bonds. The art of utilising the World’s most collectable wines for growth may have been around for decades. However, during the past decade the strength and consistency of the market has been brought to the attention of a much larger, diverse audience with many using it to complement their wider investment portfolio. The utilisation of global trading platforms has enabled wines to be traded quickly and efficiently to collectors, connoisseurs and consumers all over the World, whilst at the same time illustrating how demand for the top products has risen dramatically. Whether you are a newcomer to the world of fine wine or looking to discuss an existing portfolio, we will provide you with all the necessary pre-requisites in order for you to optimise all aspects of this progressive, alternate market. At Cult & Boutique we have access to a diverse selection of the most coveted wines within both the ‘blue chip’ and ‘boutique’ niches of the market. As scarcity is a major factor in the consistent growth seen within the fine wine market, and with only a fraction of fine wines produced globally being regarded as investment grade, our acquisition team work tirelessly to source the ‘power brands’ whilst also evaluating consumer tastes to ensure the products of the future are purchased way before they enter their drinking window, when they will be perfect for consumption. Priding ourselves on service as well as selection, we help our clients to build their knowledge throughout their progression within the market should they so wish. And for those who prefer to take a back seat, we are able to offer a bespoke service that incorporates the construction of a portfolio designed to achieve your specific financial goals. We arrange the storage and insurance of your portfolio, give you access to a client portal with updated valuations of your wines at the press of a button and access to a network of trade contacts across the globe when the time is right to action a sale.